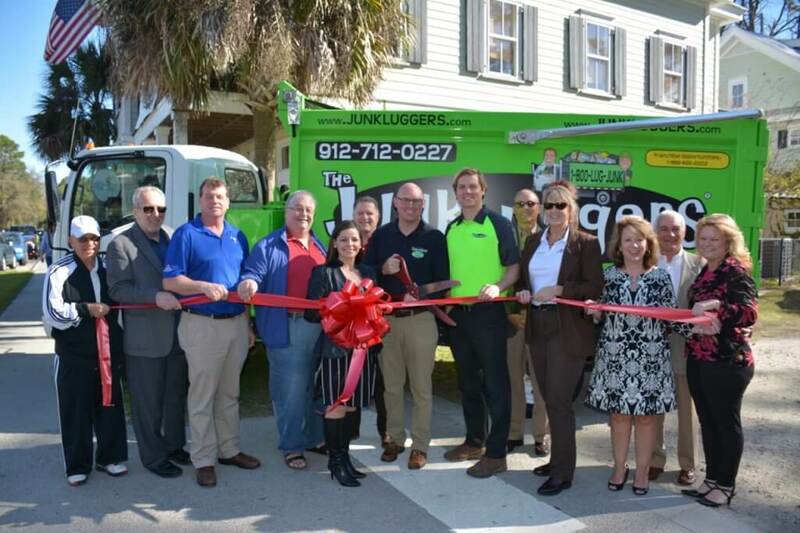 (BLUFFTON, S.C.) The Junkluggers of the Lowcountry held a ribbon cutting in front of the Bluffton Chamber of Commerce. 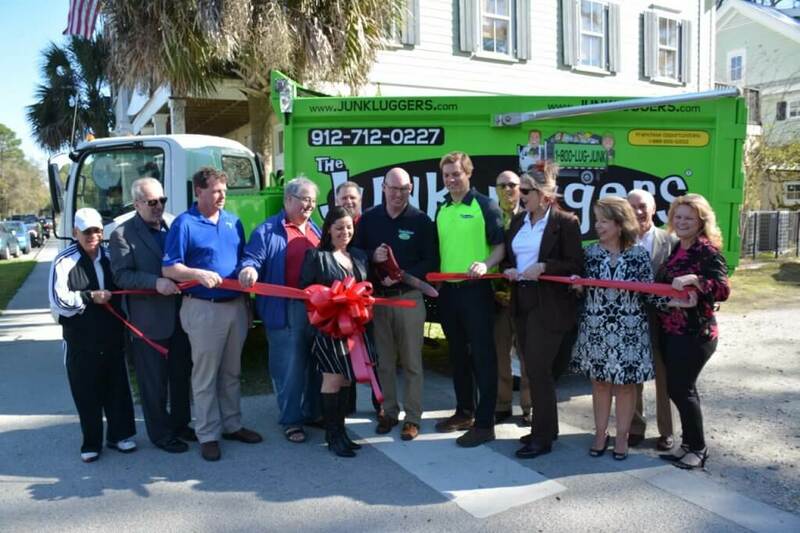 The Junkluggers of the Lowcountry, an environmentally friendly and caring alternative to traditional junk removal, will serve Jasper and Beaufort counties in South Carolina. Specializing in both residential and commercial clean-outs, Junkluggers accepts everything from furniture to construction debris, including office equipment, heavy machinery and appliances. Junkluggers of the Lowcountry hauls away items people no longer want or need and strives to donate and recycle as much as possible with the goal of keeping items out of landfills. Customers receive a tax-deductible receipt for anything the company is able to donate on their customers’ behalf. While keeping items out of the landfill is the company’s number one goal, Hess and his wife, Misty, are also focused on the impact the company can make in the local community. Junkluggers also plans to announce the opening of its Second Chance Store later this year. This up-cycling retail facility will offer gently used furniture at deeply discounted prices as well as repaired items that otherwise would have been destined for the landfill. Proceeds will help benefit the Fisher House Foundation, which provides free housing for military and veterans’ families while their loved one is receiving treatment at military or VA medical centers. The Junkluggers of the Lowcountry and its sister company Junkluggers of the Coastal Empire, owned by Trevor and Misty Hess, serve as an environmentally friendly junk removal company for Jasper and Beaufort counties in South Carolina and Chatham, Effingham, Bryan and Liberty counties in coastal Georgia. The company offers same-day and next-day appointments. Specializing in both residential and commercial clean-outs, Junkluggers accepts everything from furniture to construction debris, including office equipment, heavy machinery and appliances. All luggers are background-checked and professionally trained and the company is insured with 100 percent property damage protection. The company is also committed to partnering with local charities in service to the community as well as providing public education on issues such as recycling, donating and re-purposing. For more information, please call 912-712-0227 or visit www.junkluggers.com.